Last night was Molly's annual Academy Awards party and as such I was tasked with making the meal. 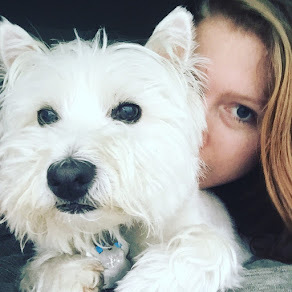 I try to do something different every year and this year it felt like we were in need of a treat with all the snow we've been dealing with in Boston. And what's more indulgent than mac and cheese with truffle butter? 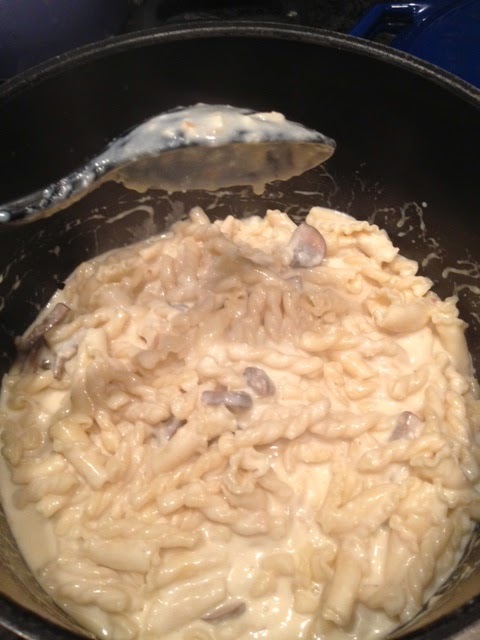 * Quick note, this is a no-bake mac and cheese. Boil pasta in heavily salted water as you usually would. Rinse and set aside. 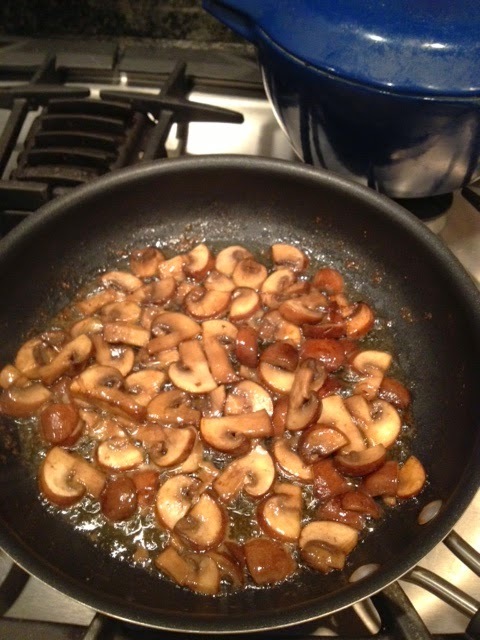 In a saute pan, melt two tablespoons of butter and cook mushrooms. 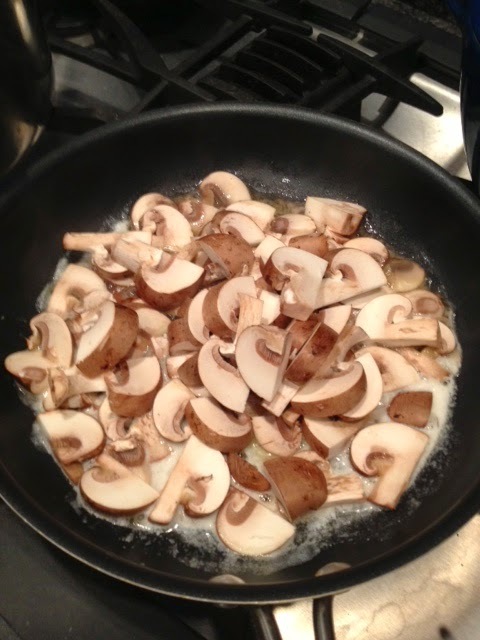 Cook down, drain and set mushrooms aside. 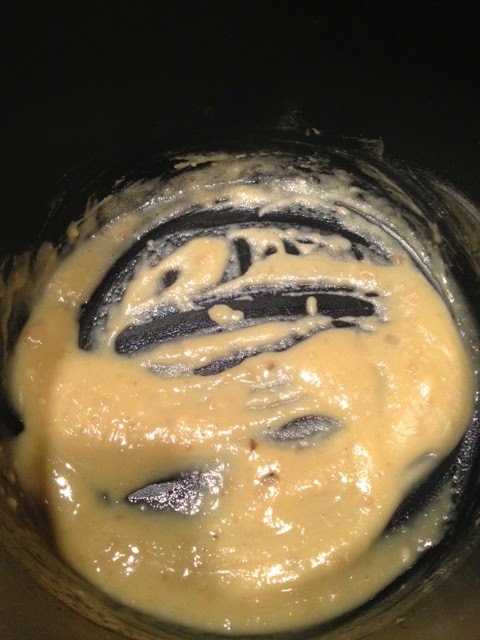 In a deep pan, melt 1 tablespoon regular butter with the 3oz truffle mutter (man oh man did this smell amazing). 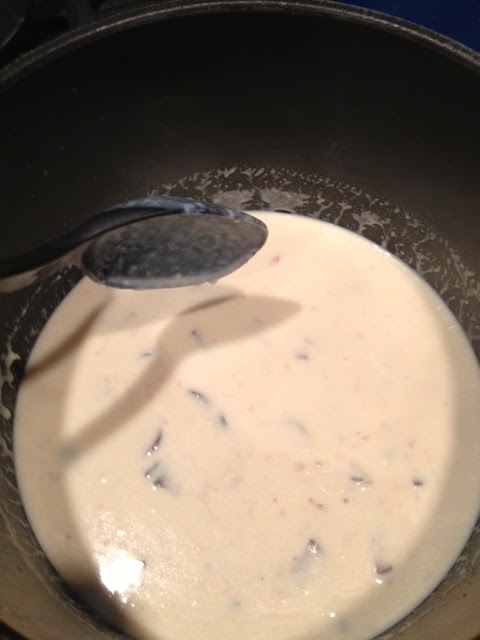 Add in 4 tablespoons of flour and cook for roughly two minutes (stirring constantly) until flour flavor cooks out. 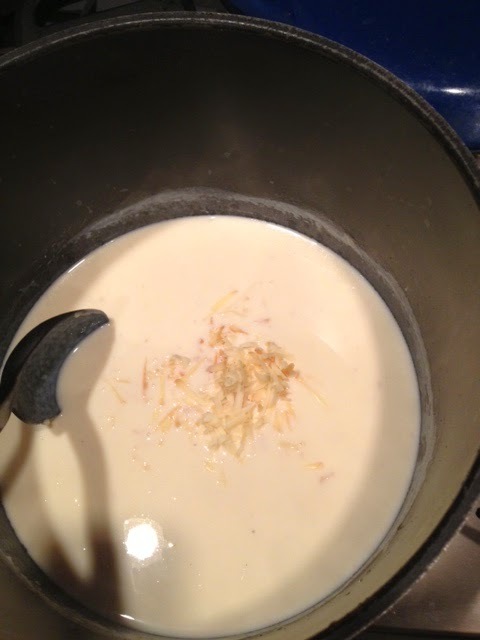 Add in the milk and cook, stirring well, until sauce thickens. A good tester, if you're unsure, is to remove the spoon from the sauce and run a finger down it. If the sauce is thick enough it will stick to the spoon and leave the place where you ran your finger clear of the sauce. Then add in your cheese! 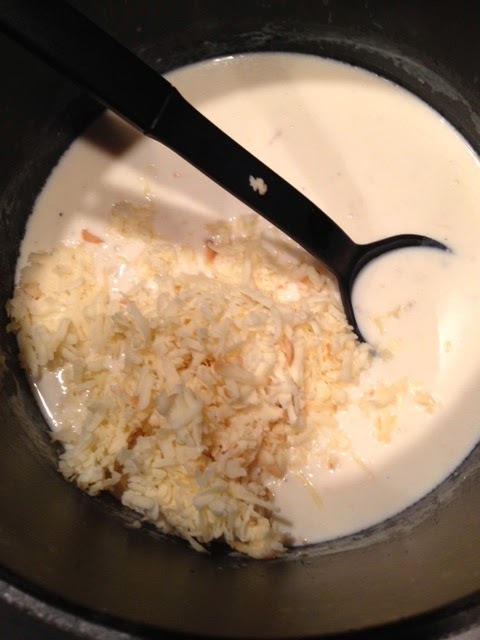 Stir in all of your cheese until it melts and then add your mushrooms back in. 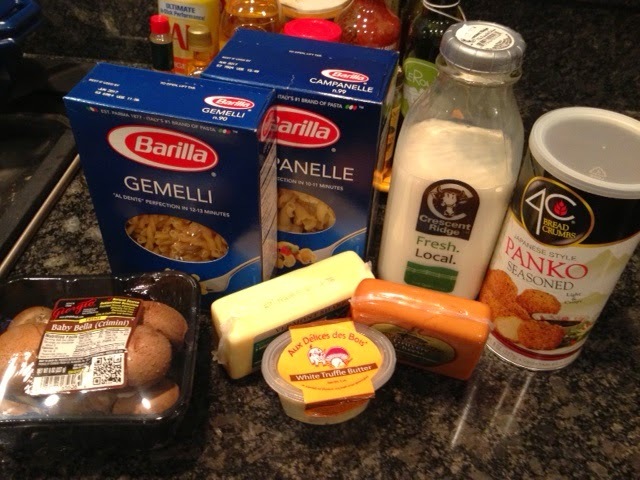 Stir until everything is deliciously combined and then toss in the pasta. This next part is totally optional but I think it adds a nice little crunch. 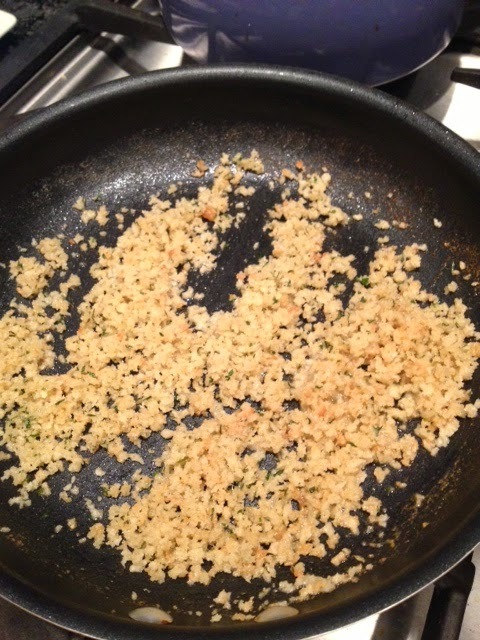 In a saucepan melt two tablespoons of butter and toss in Panko crumbs. Cook for maybe two minutes on medium eat until crumbs start to brown. Spoon them on top of individual portions and serve. 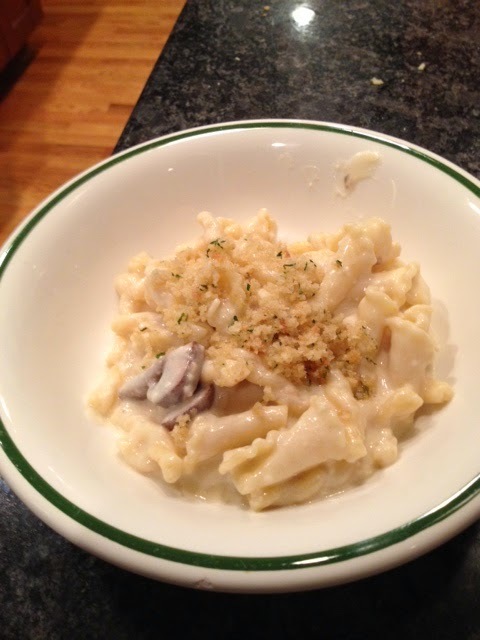 Unless my friends were lying, this was "the best mac and cheese" they'd had. They could have been pulling my leg though, but I'm eating leftovers now for lunch and it still has great flavor and creaminess. Must you say "tasked"? It sounds like you were forced to cook! Also, didn't realize it was Gruyere cheese, all night I had been thinking it was Gouda. Whoops! And we were not pulling your leg, it was 100 percent the best mac and cheese I've had. Period.